Beeline Design originated out of a love of crafting beautiful timber furniture using traditional joinery techniques, however the release of their third collection signals a step in a bold new direction. The 'Ridge Collection' features gentle corrugated curves covered in soft Australian leather paired with solid Timber or Stone. Handcrafted from sustainably sourced Tasmanian Oak, Corrugated Metal and Australian Leather; every aspect of the Ridge Collection is carefully considered and executed. “Our goal was to create a collection using what is regarded as quite a utilitarian material and elevate it to a new level of luxe by covering it in leather and pairing it with stone and timber.” says Lucy. The ‘Ridge Collection’ is inspired by Adam’s childhood growing up in the South-West of WA; surrounded by farming land dotted with traditional corrugated iron sheds. “I had wanted to incorporate the use of corrugated metal into our designs for a long time but had not found the right execution” says Adam. After launching at Denfair this year the range has had a great response and there are already new products underway to add to the collection. This coupled with the brand’s expansion overseas with a deal inked to stock their furniture in 23 stores across mainland China signals a very busy few months ahead. Styling - Melissa Chatfield and the following students from Design School: Lauren Egan, Laura Stanley, Dijana Carpinteri, Sharna Kirkbride, Aneta Schultz, Annaliese Byrne, Kathy Giannakopolous, Rachel Portaro, Amber Bennett. If Julia Green had a dollar for every time she has been asked for advice on establishing a career in the interior styling world, she could very likely pack up her props and trade them in for a life of luxury. As a leader in the industry, it’s a question Julia fields on a daily basis, from budding stylists of all ages and from all backgrounds. So, armed with a wealth of industry information and her own styling secrets, the founder of Greenhouse Interiors decided to share her knowledge with those looking to establish themselves in this highly-sought-after field. 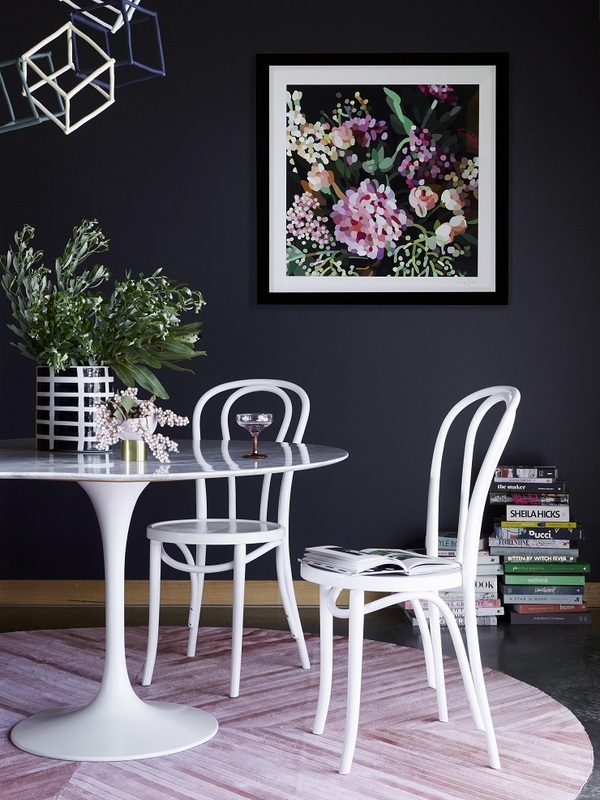 She recently threw open the doors to her Barwon Heads home for a weekend-long workshop where six aspiring stylists, who were given the opportunity to learn what it takes to turn a passion for interior styling into a career. The workshop covered all aspects of the industry, from understanding personal style to working with photographers and other suppliers, as well as how to win business in this highly-competitive field. Guest speaker Samantha Firestone also shared her knowledge of the importance of digital strategy, social media and marketing. A morning yoga session and an evening glass or two of bubbles offered a perfect contrast to the otherwise fast-paced schedule. 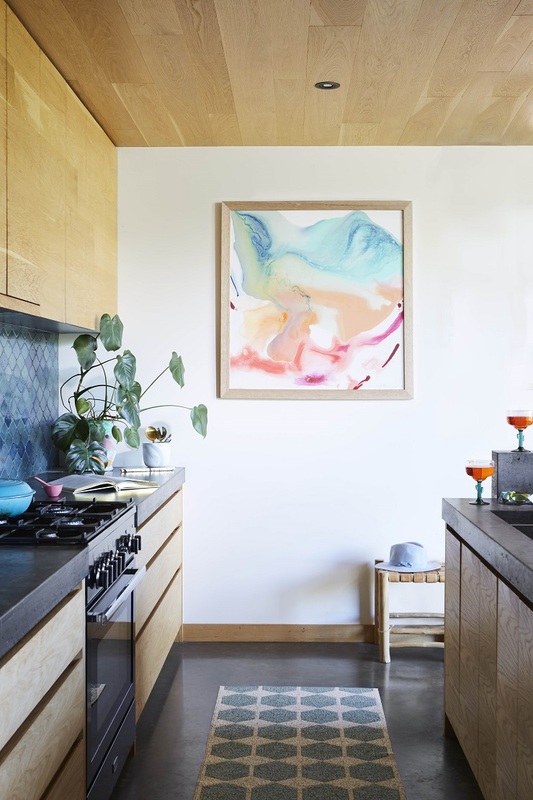 The workshop culminated in a professional photo shoot where participants brought to life their interior concepts using a new range of artworks by Greenhouse Interiors artists Brent Rosenberg, Morgan Jamieson, Prudence Caroline and Kimmy Hogan. The resulting imagery showcased students’ personal style combined with their newly-garnered interior styling knowledge, and ensured each left with full hearts and minds as well as magazine-worthy folio pieces to rival the best in the business. ‘This retreat was a money-can’t-buy experience and was one of the best weekends of my life! Although we were six complete strangers and have different end goals, we all seemed to be at the same stage. Waiting at the start line, a little unsure how to actually start or to reach the next stage. Julia’s energy and passion is contagious and she quickly got everyone to open up and really trust each other in an incredibly supportive environment. Although this weekend was about styling, it was just as much about backing yourself and just going for it. By the end of the weekend, we all left with our hearts and inspiration cups overflowing – not to mention some beautiful imagery to compliment our portfolio’s!’ said participant Alex. Bright futures, and a solid game plan now await this group of creatives armed with the passion and know how. All Art shown here available at Greenhouse Interiors. 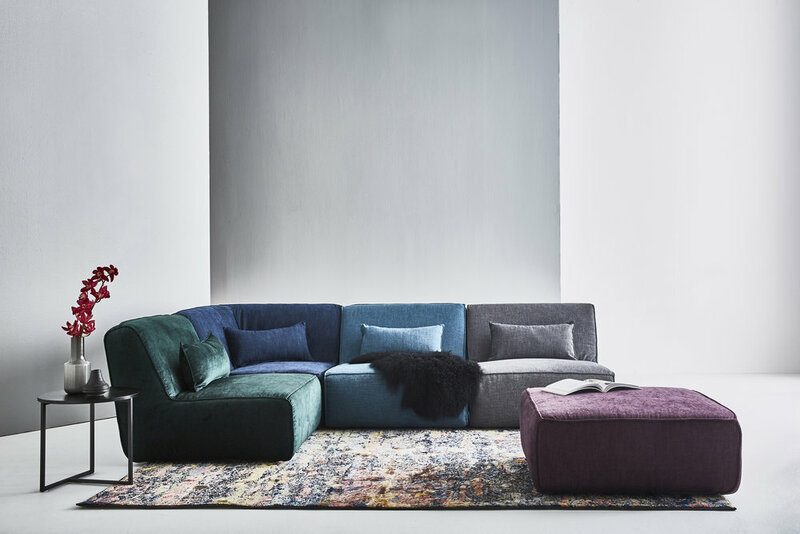 Schiavello has just launched their highly anticipated new retail furniture line with the opening of a new retail showroom in Melbourne’s Southbank. The Australian company’s fresh focus on residential furniture will establish a new visual and design language for residential living locally and beyond. Schiavello furniture is 100% made in Melbourne at the company’s Tullamarine factory. Hero pieces featured in the retail launch include the 101 chair & La La stool by Helen Kontouris, Blom chair by Claudio Bellini, Vertical Garden by Joost Bakker, MR chair by Mario Ruiz, Parley & Goodwood table by Doshi Levien, Tango table, Kush floor cushion, Toro Badjo sofa, Bomba sofa & Karo ottoman by Ivan Woods, Wire chair, Rib chair & Lean Table by Chris Connell. Located at ground level at Southbank’s Prima Tower, the warm, light filled space showcasing local and international design by Schiavello and MAP features interior by award winning designers Hecker Guthrie. Clean lines, layered volumes and an assemblage of textural materials (leather, velvet, glass, timber) create balance and a distinctively architectural approach. Full-height glass, light timber veneer, textured white rendered walls and natural oak flooring form the basis of the material palette. Multiple lounging areas offer a moment to pause and consider, delineated by moss green and light grey carpet. A vertical garden and hand-blown glass vases with draping greenery add an organic, serene ambience throughout. The new Schiavello Melbourne retail showroom is now open at 35 Queensbridge Street, Southbank VIC 3006. Crushing - Dreamy new bedheads by Heatherly Design! 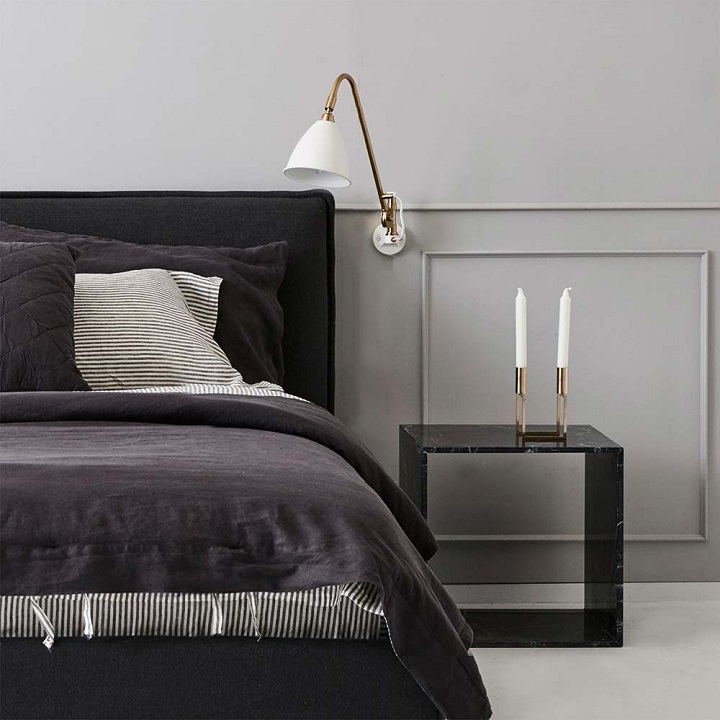 Whether it’s contemporary chic, understated elegance or fabulously playful, the new range from bespoke bedhead company Heatherly Design will bring a designer element to any bedroom setting. 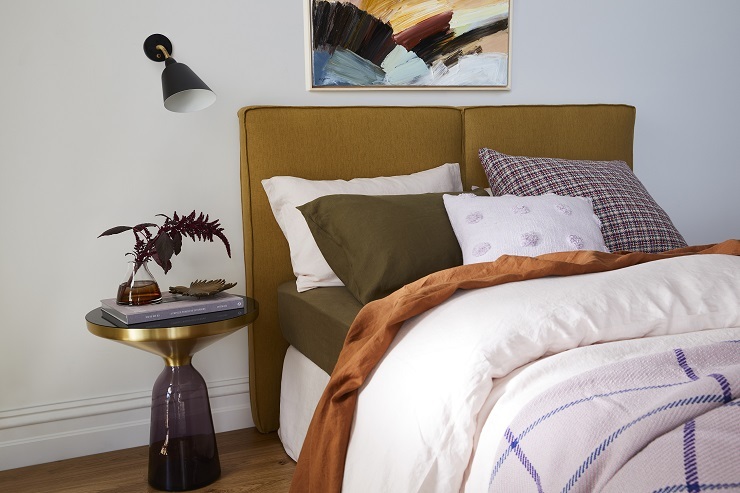 Featuring five new designs, including bedheads, full beds, and foot stools, each piece upholds the brand’s commitment to bring both functionality and style to a variety of bedroom styles. We love love love these stunning pieces and know you will too - and the styling is just perfection, now which one would you choose?! Armelle - offers a contemporary play on a low, casual bed head which has been finished in luxury Belgian linen in the colour du jour – mustard. Two deep cushioned panels are fixed together to create the bedhead, while small flange detail on the side profile is a refined touch. Queen bedhead: from $1720. Lighting in your home is so important but sometimes it can be forgotten about... that's why we were super excited to be able to chat the to founders of ISM Objects, Simon Christopher and Celina Clarke about how to create mood lighting to enhance your spaces. Their tips are insightful and so easy to achieve in your own home, because creating ambience is always a good idea! This is one of the most important ways to create ambience. 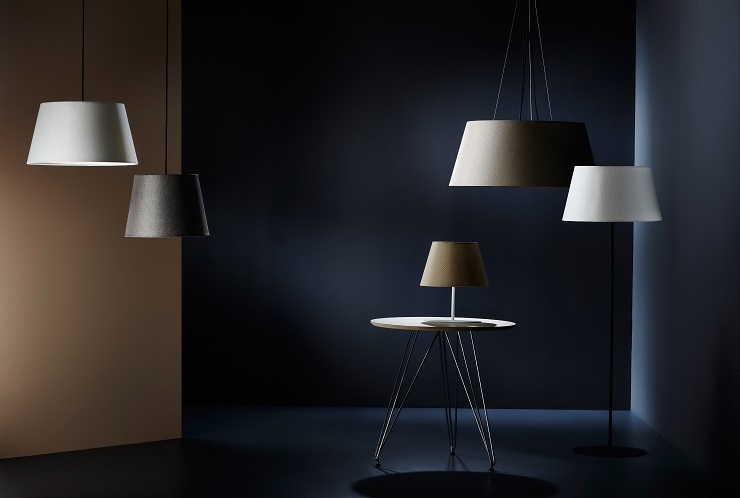 Having only one light source can result in a stark, washed-out space, whereas incorporating different light sources, such as overhead, task, floor and table lamps, can create zones of softer or stronger light where needed. Dimming switches allow you to adjust the level of light to suit the time of the day and function of the room. With dimmers you can have strong task lighting or gentle atmospheric lighting in the evening. You may also need to use the dimmers during the day depending on how much natural light a room receives. LED lighting and new energy-efficient bulbs provide different warmths of light. A 2700K to 3000K bulb (K, for Kelvins, measures the colour of the light source) emits a warm yellow light, like an early sunrise or late sunset. This warm light is cosy, calm and intimate and a good choice for spaces used in the evening as it helps to relax and unwind. If a space doesn’t need overhead lighting, use table and floor lamps to create an intimate or casual atmosphere and environment. They can highlight areas of the room and tall floor lamps can be used to bounce light of the ceiling, effectively doing the job of overhead lighting. 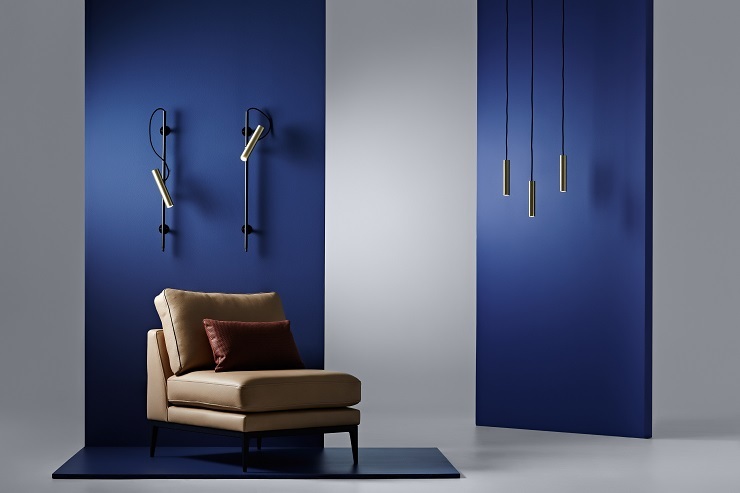 Table and floor lamps and accent lighting, such as wall sconces, can be used to focus on points of interest, such as accentuating architectural and decorative features, drawing attention to furniture pieces or illuminating artworks and sculptures. This creates visual focal and the contrasts between light and dark spaces adds ambience. 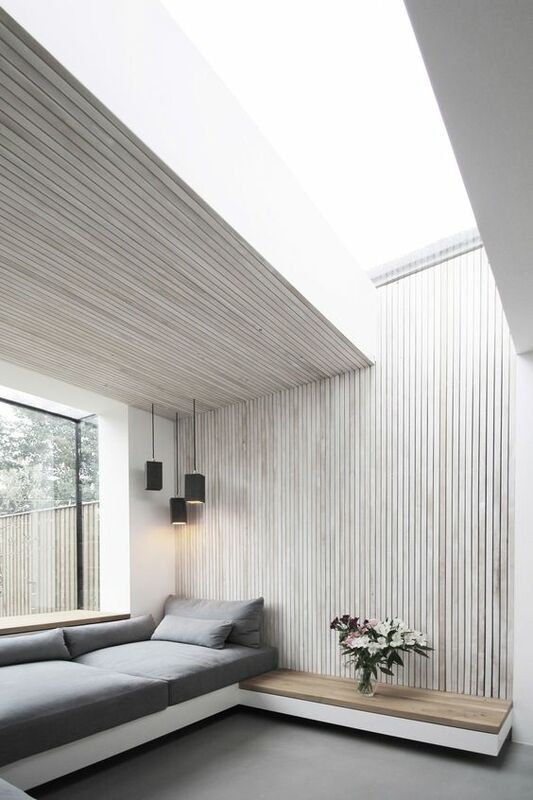 Textured interior walls is where it's at - they add interest, style, texture and sense of modernity! 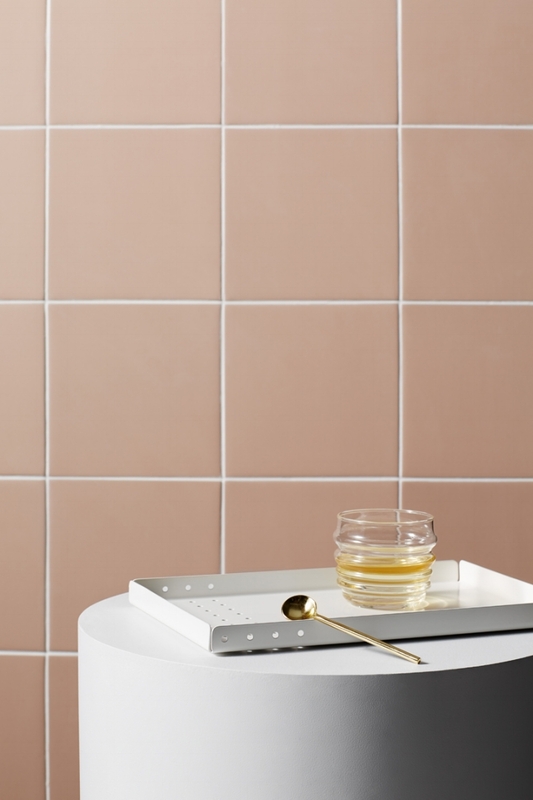 Gone are the days of plain painted walls, texture is everything and what better way to inject some style into your space than with a little bit of wall pampering! My top 7 trends are below - some are DIY, some are an easy addition and some are a full blown makeover... so get inspired and please let me know your favourites! We love finding new, innovative and design savvy brands to share with you, so it’s time to introduce you to my fav new find! 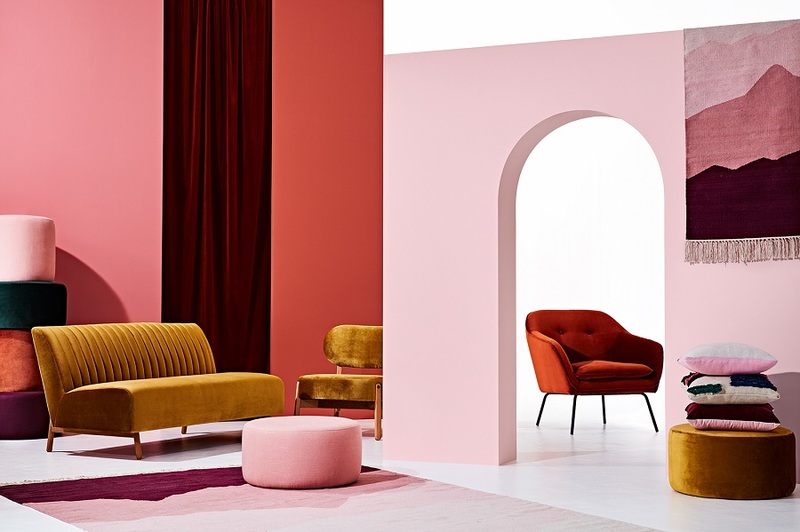 The Design Edit is the latest boutique furniture and homewares store to join the interiors space in Australia and can we just say that we are soooo excited that they have arrived! 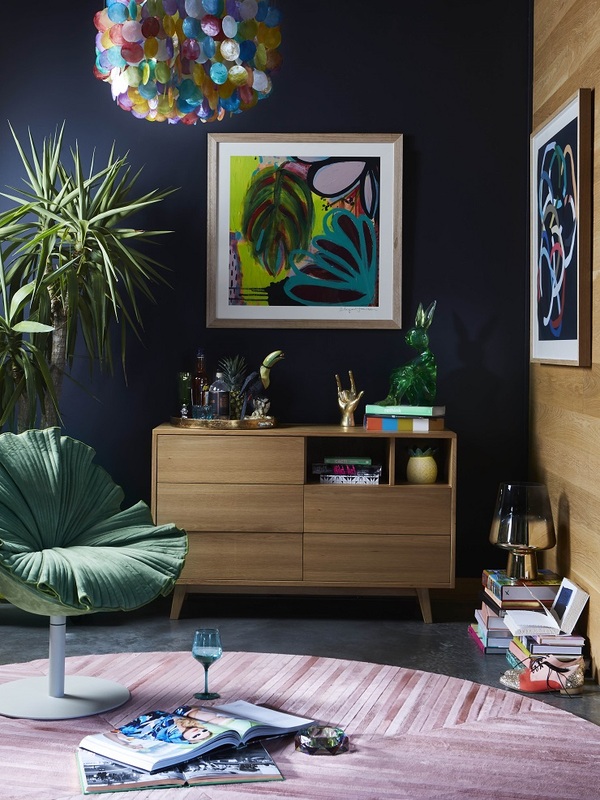 With a beautifully curated collection of high quality pieces, as well as a dedicated platform for showcasing the handmade creations of local Australian designers, this is the new destination for online interiors. Melbourne based and family owned, The Design Edit was conceived by husband and wife team Jason and Danni Tan who developed a love for furniture and homewares while designing and building their own home. It was during this time that they were inspired by the transformative power of well selected furniture pieces and The Design Edit was born. 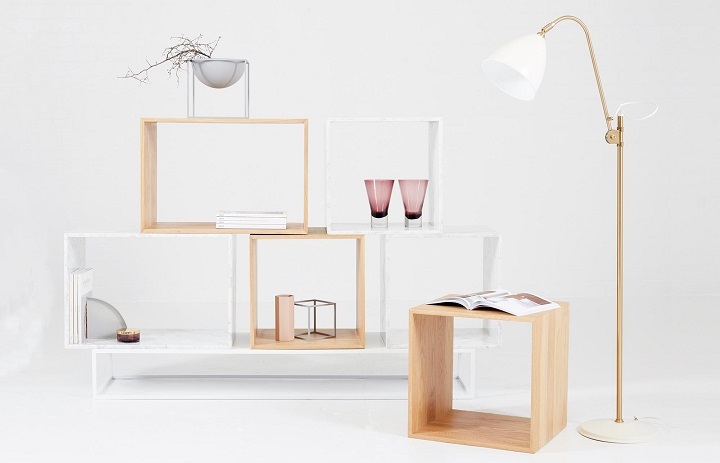 The Design Edit has a curated collection of pieces that includes functional and timeless Scandinavian inspired wooden furniture, iconic replica designer pieces, and stylish homewares, something to suit everyone’s taste, style and budget. Every piece of furniture is of exceptional quality and made from premium materials, such as top grain Italian leather, soft cashmere and solid wood. The complementing homewares range features beautifully designed, timeless pieces from leading, well-loved brands such as Amalfi, LindDNA and Zakkia. What we love even more about The Design Edit is that they are showcasing the unique works of talented Australian artisans, supporting local designers and giving them a platform to display their beautiful creations. 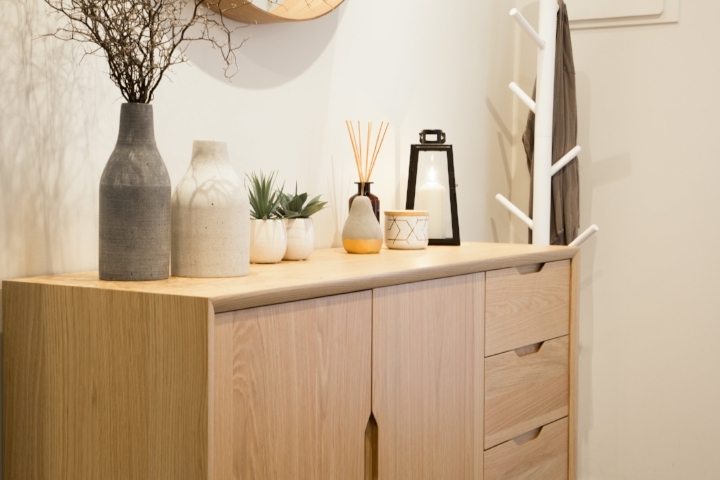 In the Local Designers Range each unique piece has been lovingly and locally handmade by independent Australian designers, making them truly one of a kind, something that will stand the test of time and become part of your homes identity. 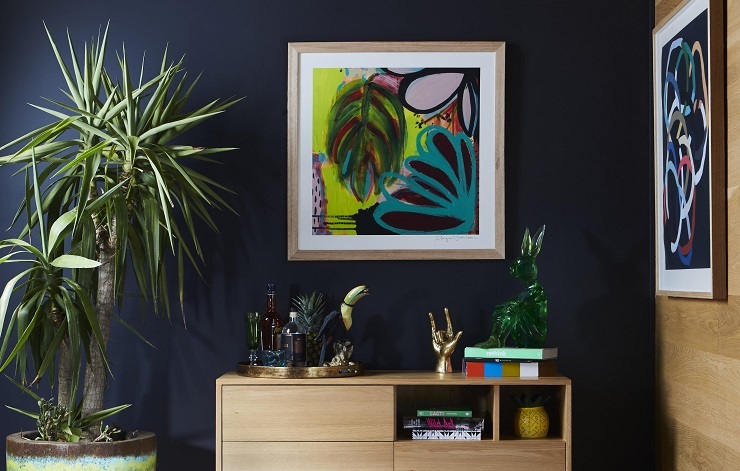 So if you are looking for your next item of furniture, something to add a punch of personality into your space or the perfect gift for a loved one, The Design Edit is your one stop shop! 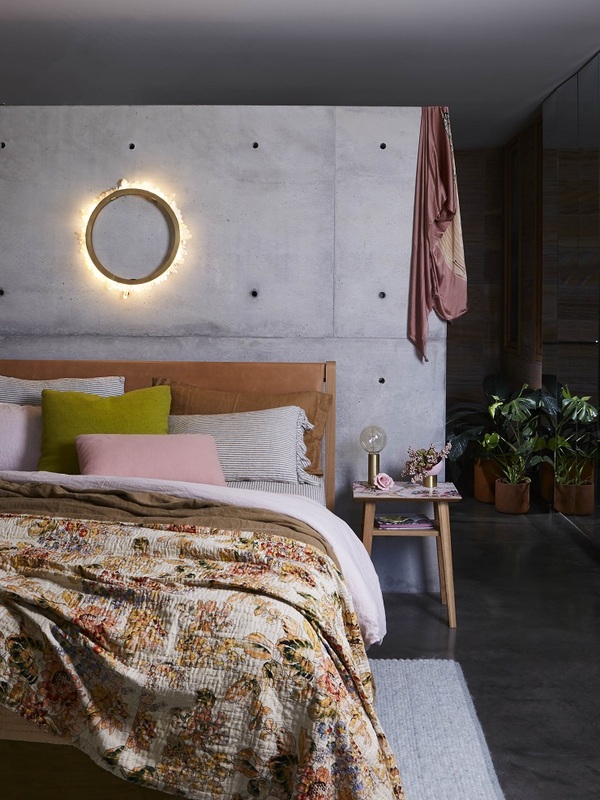 Siesta Home is a Melbourne-based boutique-bedding brand created by Australian Winter Olympian Johanna Lyle. 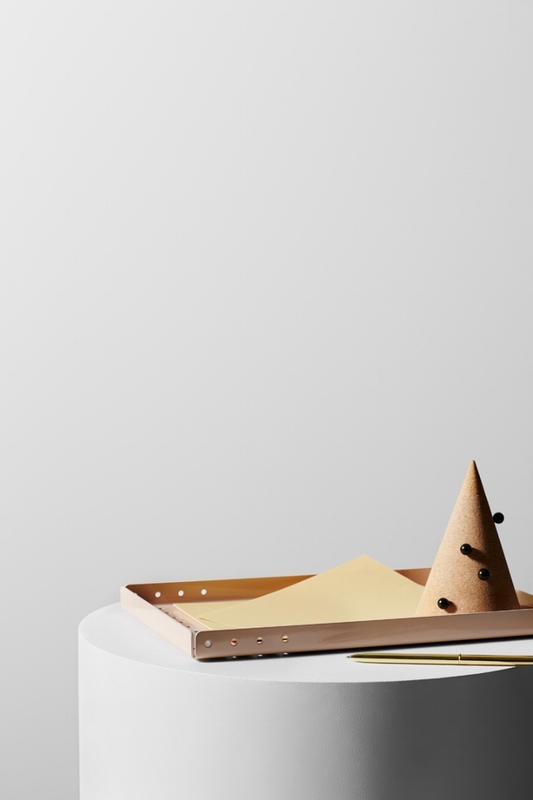 The collection is bold, fun and full of life, an invitation to play. Drawing on influences from her European travels and colourful memories, Siesta Home collections are a postcard from Joh's former life as a snowboarder. "I remember being the most colourful snowboarder when I was in the 2006 & 2010 Winter Olympics." Now a mother of 2, Joh pursued her passion for interior styling after retiring from her Olympic career. Her artful eye and her penchant for colour resulted in a 7 month long passion project renovating her Melbourne home. 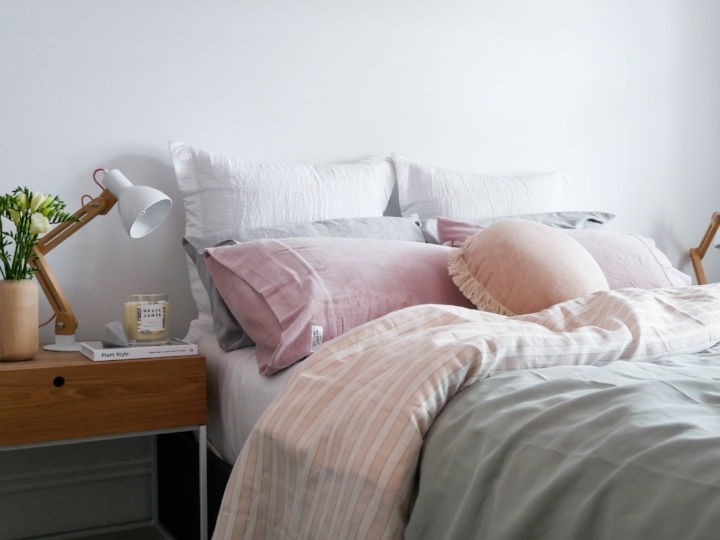 While renovating, Joh's natural gravitation towards colours, patterns and prints led her to start designing her own unique bedding collections, with a plan to inspire people to have fun and experiment with their bedding too. Siesta Home’s latest collection entitled ‘NOMAD” is inspired by a feeling of wanderlust, being in nature, and starry nights. 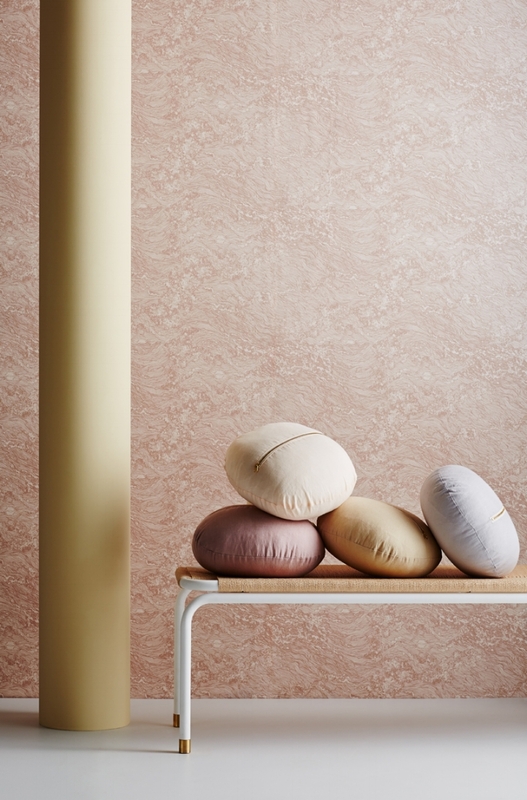 The natural beauty of all the colours and patterns in the countryside has played its part in the new collection; from the green grass, to the pink and lavender native flowers, grey rock formations, peachy soft sunsets and dusty brown soil that create patterns in the land. “I have always been drawn to colour and experimenting with mixing and matching different tones. Every design has been carefully chosen to complement each other - which is why some are reversible! The concoction of colour and play on patterns is something that gives Nomad its unique personality.” Says Joh. 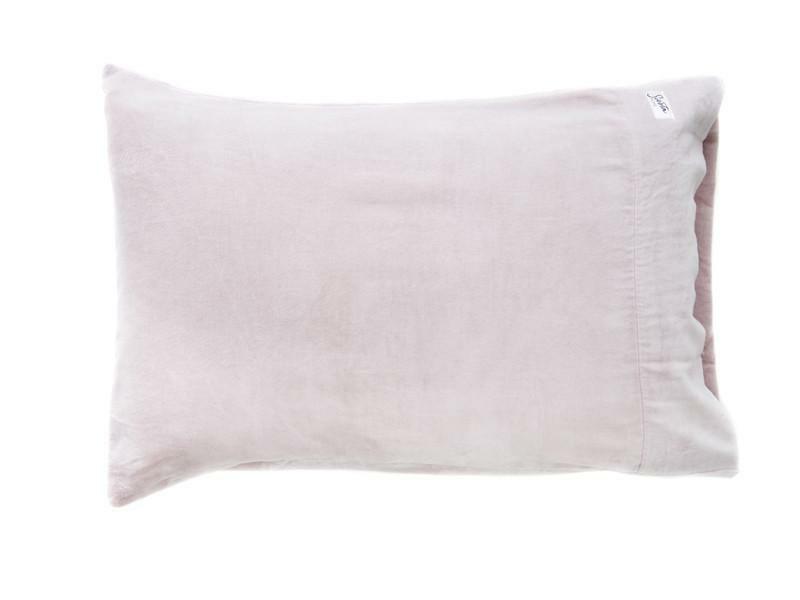 Everything in the collection is made from beautiful, high quality materials including cotton linen, cotton velvet and cotton percale to ensure the best nights sleep as well as longevity. We love that every item in the range is designed to be mixed and matched - for all seasons and to suit your home's interiors. Siesta Home encourages people to match their moods with their bed sheets, a motto I’m definitely taking on board! 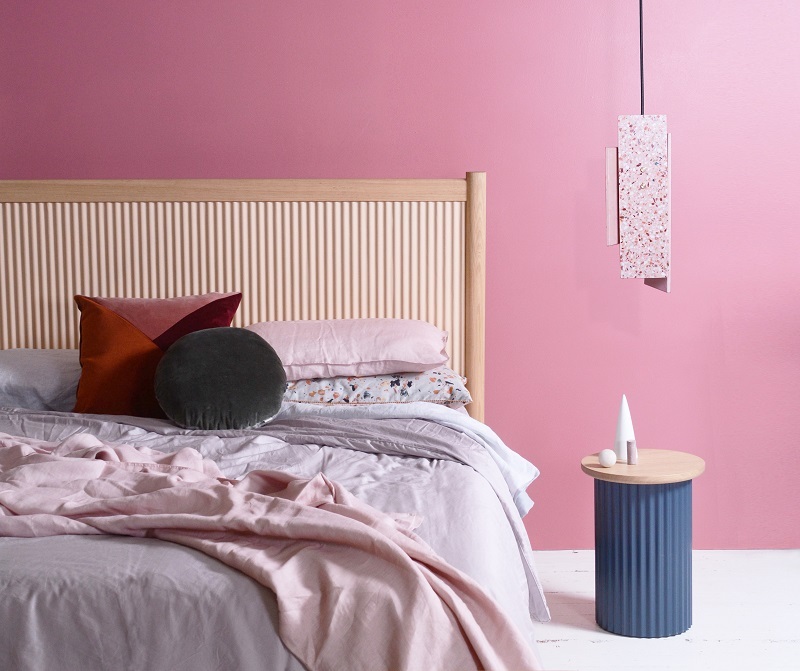 The collection includes reversible duvets, standard and euro pillowcases, plush cushions and throws and a beautiful sunset fitted sheet to compliment the unique colour palette. Nomad is for anyone who dreams of wandering, and wonders to dream. We have loved everything that Made By Morgen has done since we first set eyes on their incredible work a few years back, and now their latest collection has absolutely blown our minds! 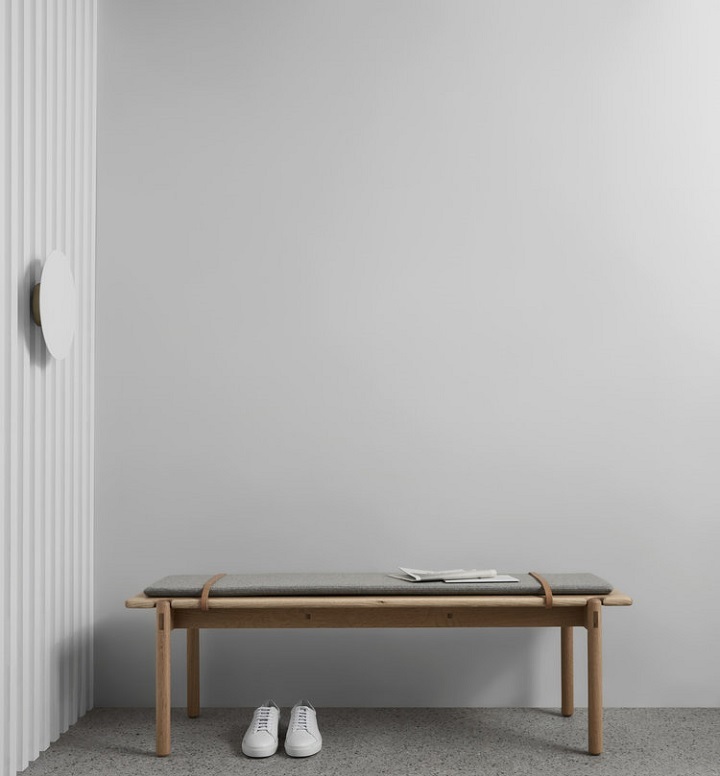 With inspiration from mid-century Scandinavian design they work by hand to create refreshing, unique and individualised pieces for people, places and spaces. 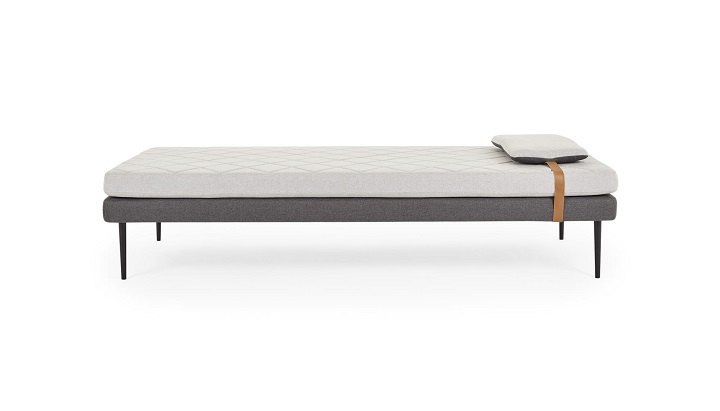 Day Bed Dreaming... My top 8 picks! With lazy summer days just around the corner, and wishful thinking of spending afternoons reading, sipping a vino and relaxing at home at the forefront of my mind - what better way to get ready for relaxing summer afternoons than with a Day Bed Edit! I've found my Top 8 Day Beds for you to check out - plush and soft, minimalist and refined and modern and grogeous, there is something for everyone! I would love to know your favourites in the comments below! 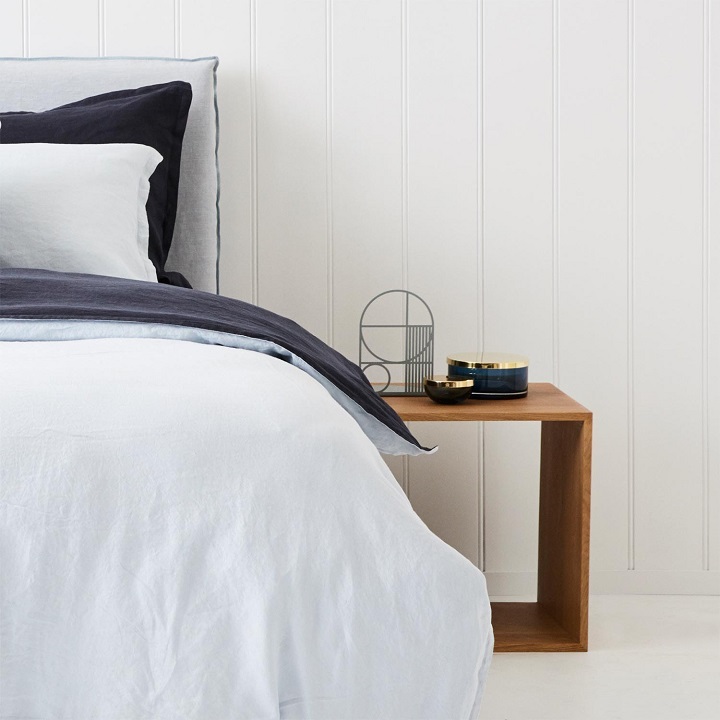 IN BED have released their latest offering - a 400 thread-count cotton range that is inspired by the aesthetic and feeling of crisp white cotton sheets – the kind you find in the rooms of boutique hotels, artfully layered and exceptionally soft. And who doesn't love a luxe hotel bed, am I right?!! The cotton sheets are closely woven to be smooth, light and breathable, making them ideal for warmer seasons and balmy climates. For the launch of the cotton range, IN BED partnered with Portuguese accommodation project Santa Clara 1728, located within a starkly beautiful 18th century façade in the heart of Lisbon’s old cultural quarter. 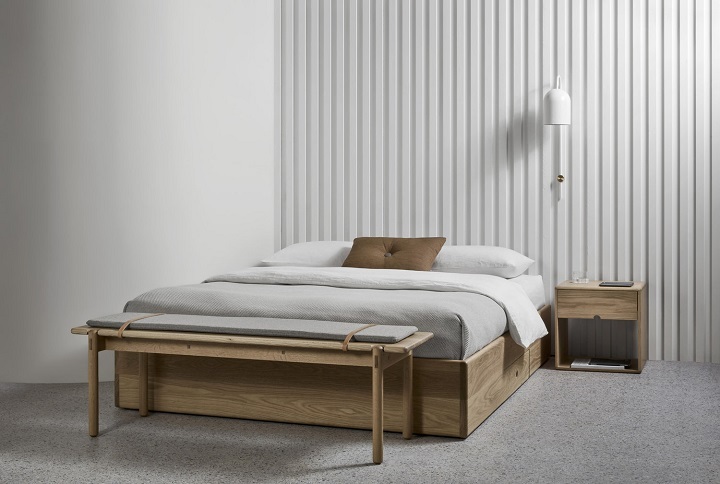 The hotel’s location and design makes for a campaign that extends naturally from IN BED’s own aesthetic, mirroring the thoughtful, modern, and minimal design approach that they embrace in all of their product ranges. The hotel is one of the four design-led properties by hotelier João Rodrigues and has been designed by renowned local architect Manuel Aires Mateus, whose clean, modern interiors give lift and light to the building’s ancient walls. Pretty in Pink with Kate Spade and Heatherly Design. Inspired by sweet summery days and fresh pastel tones, the latest in the Heatherly Design Art Series introduces a beautiful collaboration with the much-lauded fabric house Kravet, who are representing a new range of Kate Spade fabrics... and we are so in love with the soft pastel hues and romantic feels. 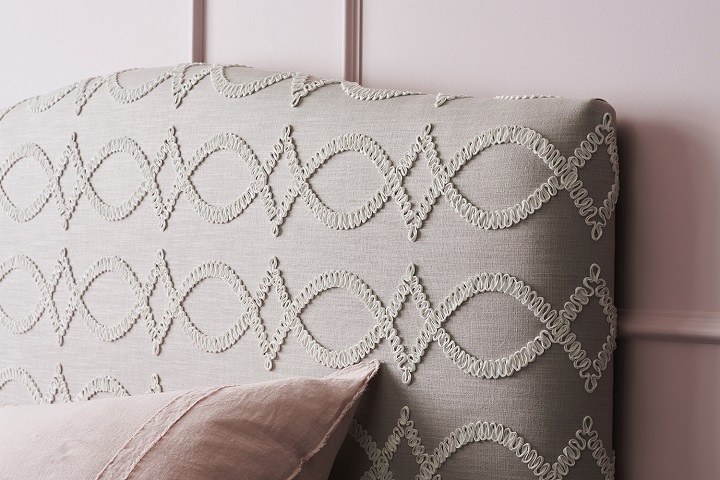 The new Valentine bedhead highlights a soft and curvaceous profile and shows off her iconic ribbon detail stitched onto a taupe linen background. The equally as elegant Adele footstool showcases the playful Kate Spade coin spot textured velvet and features a contrast pipe in greige velvet, and oooh la la how divine is it! Combining aesthetics + functionality Urban Couture's new Boxy Range is the perfect addition to your home. Urban Couture have released their latest must have - the Boxy. The perfect piece to create your own custom storage, use as a gorgeous bedside table, a side table or even a stack them them to create a sideboard - the options are endless. Urban Couture's Boxy Units are available in Oak, Black Ash, Green + Carrara Marble, and can be purchased in sets to create a storage solution or on their own to accessorise your space. 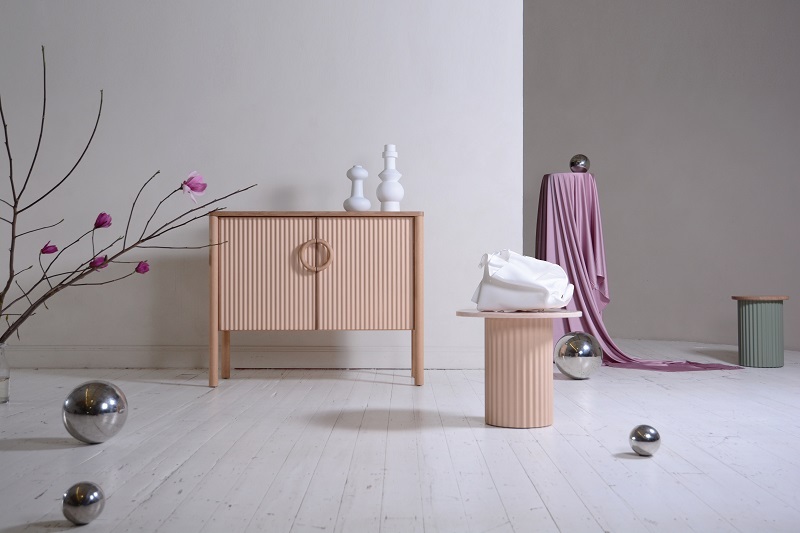 'New day, New Dawn' is the latest collection of furniture and homewares from Arro Home. 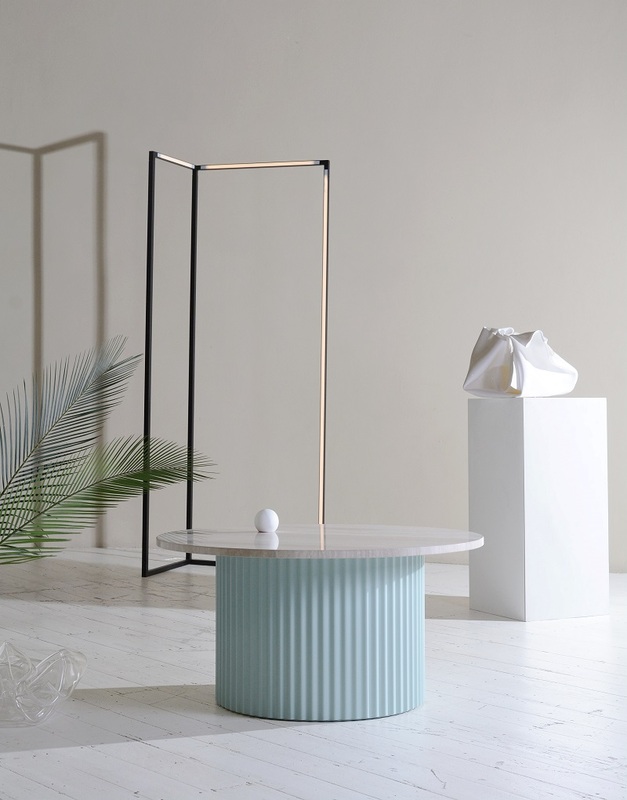 Arro Home is an Australian lifestyle brand, based in Melbourne. Their collections consist of stylish rugs woven in natural fibres, beautiful furniture pieces that offer all aspects of living and dining, an array of soft furnishings and linens and stunning decor pieces. Their ranges are constantly refreshed to reflect trends, ensure newness and deliver distinctive products for your home that will stand the test of time. Arro Home recognises and is responding to shifting global demographics, where people are seeking a true lifestyle balance that informs how a home functions and serves.. and we absolutely love this about them! 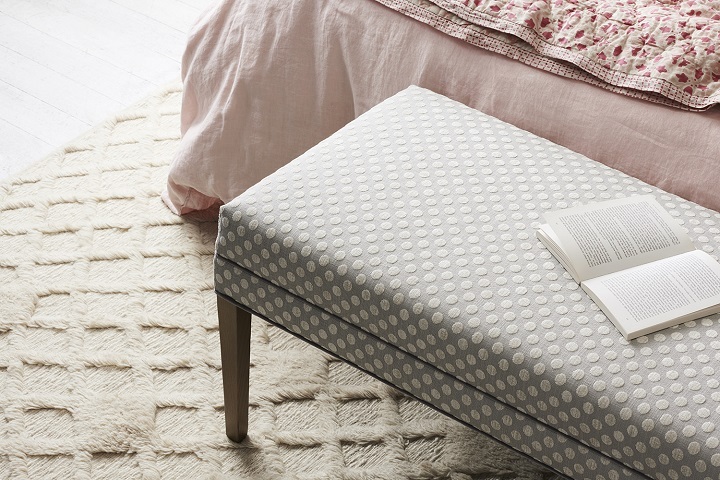 This season see's the return of the ottoman which comes in three sizes and in a gorgeous array of colours. Their range of rugs are colourful, tactile, have the most gorgeous tasselling and some feature graphic imagery. And let's not forget the velvets... oh so gorgeous! "We don't know about you, but we can already see ourselves sprawled out in the Oscar chair, feet hanging over the side, book in our lap. We're relaxed just thinking about it, actually. Mmm..." says Arro Home. ""Go on. Put your feet up. You've earned it," is what the Aloft ottoman would say to you if it could. Who are we to argue? In a sumptuous rust velvet with a subtle sheen, you'll wonder where this ottoman has been all your life. Also comes in Small and Tall." says Arro Home. 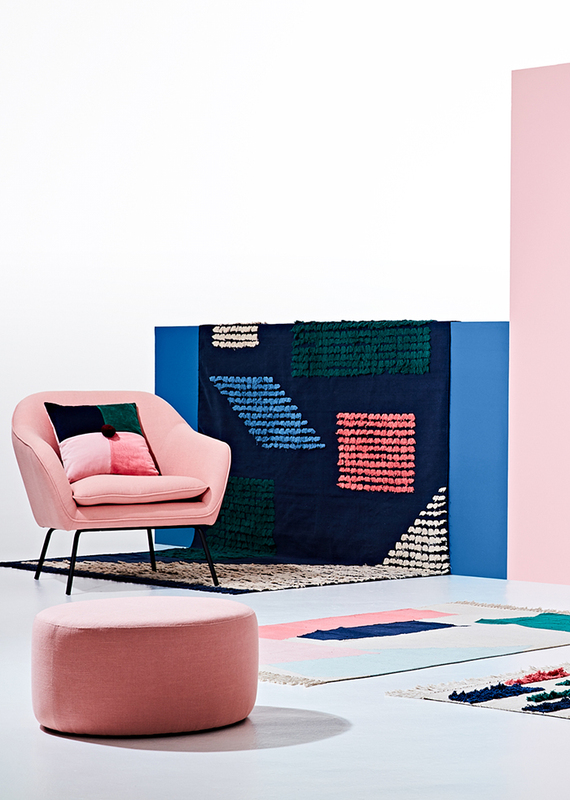 These top picks from Australian design store Lounge Lovers are sure to add colour and character to your home. And what better time for a little refresh than spring? Blush couch anyone?! Stylist Corina Koch | Photographer Kristina Soljo. The Macy - Just when you think you couldn't love millennial pink anymore, Lounge Lovers revives the classic 60's shelter arm sofa with a touch of modern elegance. Sophisticated in design, The Macy is a plush 3 seater that will dress up any retro-inspired living room. Stella Armchair - Do you want to make your living room pop but you don't want to go overboard? The Stella Armchair is the one for you! It's understated elegance and and classic designer details make it an eye-catching addition to any room. With its sophisticated matte brass legs and ecstatic teal fabric, the Stella Armchair will update your space stylishly and effortlessly. The Pods - Combining a classic design with a contemporary style, the Pod Modular Range nails both functionality and style. Available in vibrant jewel tones including plum, navy, rusty red and burnt apricot, it's the perfect piece to give your living space a premium and sophisticated update this spring. The Harriett Velvet - Make a statement with the velvet addition to the Harriett line. Royal blue and bottle green bring a touch of glamour to this cozy piece. 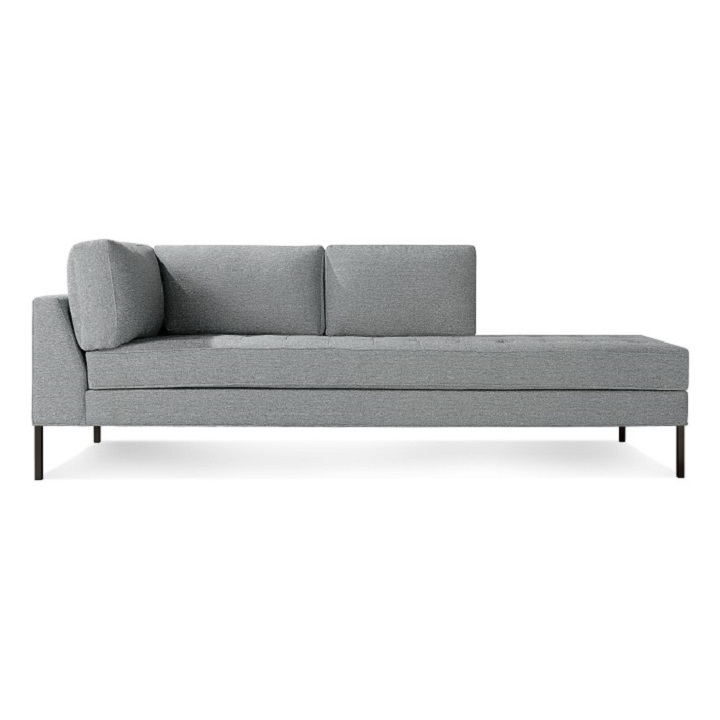 While the pinch detail in the fixed back and seat cushions is reminiscent of Danish mid-century form, the Harriett 3 seater sofa’s shallower seat makes for a more ergonomic lounging experience. All images © Sly Australia 2017 | Styling Bek Sheppard | Photography Annette O’Brien. Dusky sandscapes, the rusty hues of windswept dunes and blushing skies. 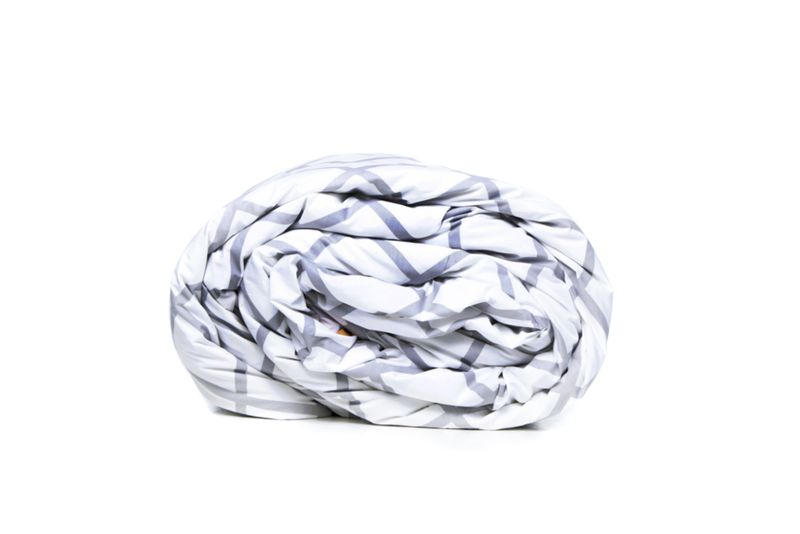 Sahara by Sly is a celebration of earthy, summery tones working in harmony, bringing warmth and softness. Simplicity in its design means you can seamlessly bring the tonal beauty of the desert to your home. We absolutely love Sly's latest offering and it's dusty pastel hues, brass detailing and the material of the moment terrazzo of course!! Nomad Cushion (above) - A summer edition of soft pastel cushions of 100% stonewashed linen in desert hues, featuring the return of the exposed brass zip. Marlow Tray - Marlow is a tabletop marvel. Simply designed to suit any flat surface, Marlow can display, store or organise with minimal beauty. Featuring perforation detail for use in or outdoors. 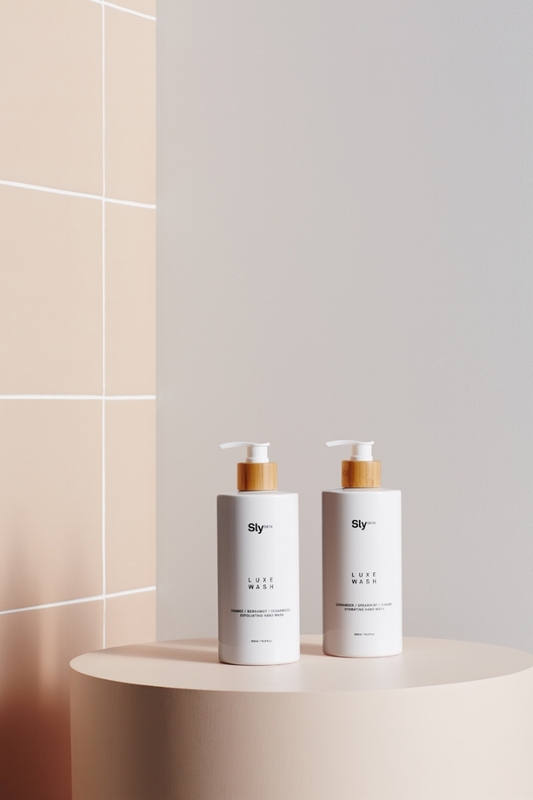 SlySKIN Luxe Wash - The second addition to SlySKIN sees the arrival of two luxurious hand wash blends. Fresh, herbal and zingy, this blend is a delicious and refreshing way to cleanse your palms. 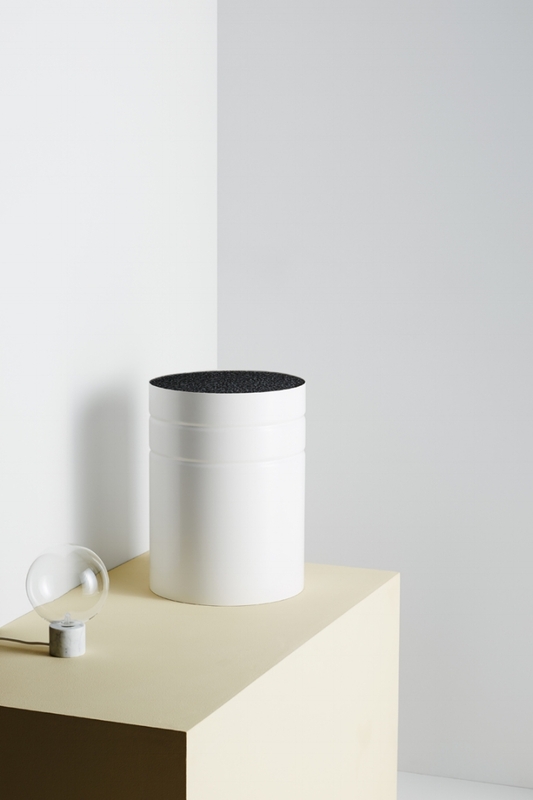 Harlan Side Table - A compact side table celebrating form and function. 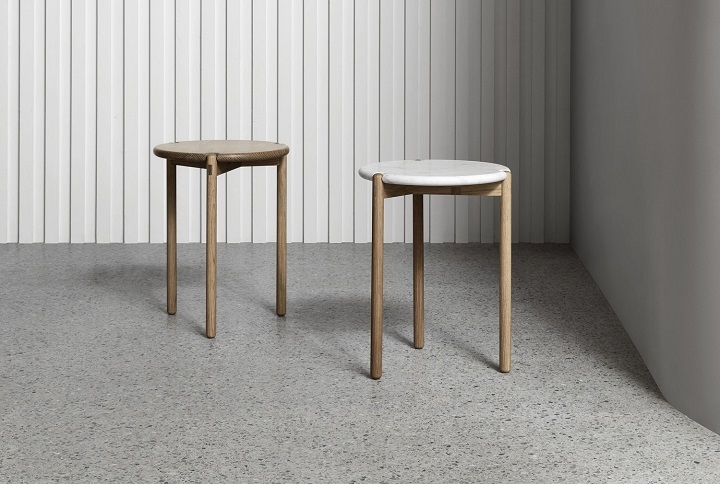 Combining powder-coated steel and unique Terrazzo detail from Fibonacci Stone, Harlan is both minimal and versatile. 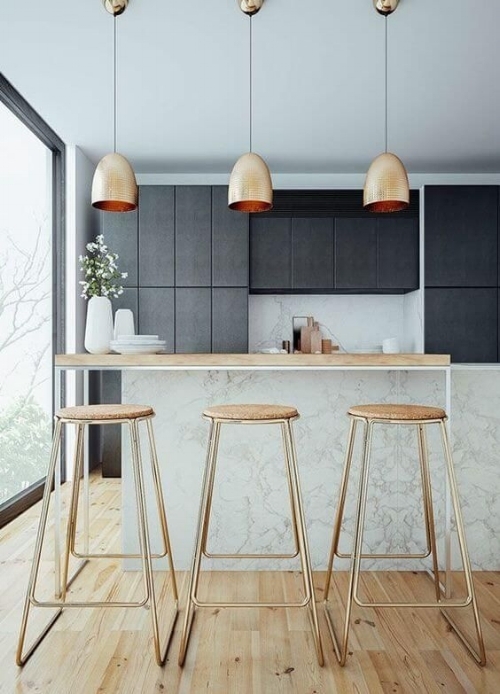 Pendant lights have always been popular, but they’re receiving unprecedented attention at the moment thanks to renovation and home decor TV shows, online inspiration sharing sites like Pinterest and Instagram and the increasing affordability of different lighting options. Instead of just sticking with whichever lights are built into their home, people are starting to change their lights according to the season and the trends, treating them like throw cushions and other styling details. Cage pendant lights are everywhere right now, and for good reason! Cages work with all different styles of decor and homes of all different periods. 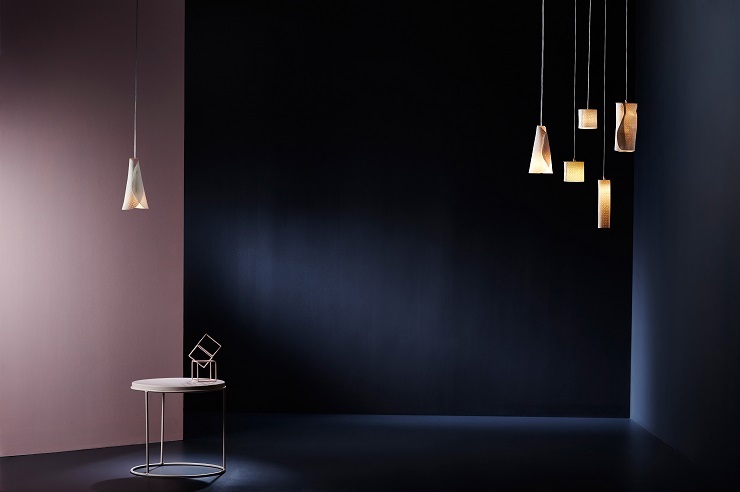 Cage pendants consist of an exposed light bulb with a geometric frame around it, which can be made from all sorts of materials but are usually metal. Metal cages have an inherently industrial feel, reminiscent of the cages around spotlights on building sites. To take the edge off, use a vintage filament bulb that produces a warm ambient light. Metallic finishes throughout the home make a great alternative to bright pops of colour, offering contrast to the soft neutrals we tend to use as a base. Metal offers this contrast through the use of texture rather than colour, which is perfect if you’re not ready to commit to anything too bright. Metal finishes respect the neutral colour palette while offering contrast and creating a sense of dimension. Win-win! The most popular types of metal for pendant lights are brass, copper, steel, bronze, and chrome. Whether you’re interested in glass or crystal, this type of fitting really makes the most of the light from your bulb. The possibilities are endless here: clear glass panels, frosted glass, glass or crystal beads, and coloured glass are some of the most popular options. Reflecting and directing the light creates sparkle and adds some glitter to your room. Whether you’re planning a chandelier, a lantern or a simple glass light shade, glass or crystal light fittings are perfect if you’re looking for ambient light and something to draw the eye. Industrial pendant lights are perfect for adding a contemporary edge to period homes and for creating sleek lines in contemporary spaces. Industrial lighting is typically metal and they can have either an ultra-modern feel or a vintage feel depending on what you’re after. If your fitting is metal it is a great in contrast to harsh materials such as brick and concrete. If you’re after a bohemian look for your interiors, Moroccan light fittings are for you. Usually, this means lanterns, although other styles and shapes are also seen. Whatever the shape, Moroccan fittings are usually made of metal with patterns and holes punched into the surface. These may be small holes working together to create pattern, or large cutouts. Not only does this look beautiful as a feature during the day, but it also creates intriguing patterns of light and shadow around the room at night. Although it is nearly 100 years old, the art deco style is making a very popular return. The architectural shapes and clean lines of art deco pendant lights make for a timeless and versatile feature in any modern interior. It is the definition of luxury and elegance, combining rich colours, bold geometry and decorative detail to enhance modern spaces with ease. The most important principle in art deco lighting is shape: think zigzag lines, jumbled forms and geometric designs. Just be sure to keep it simple and clean. Materials such as chrome and brass, along with anything shiny like opal glass and mirror, are also a key part of art deco lighting glam! 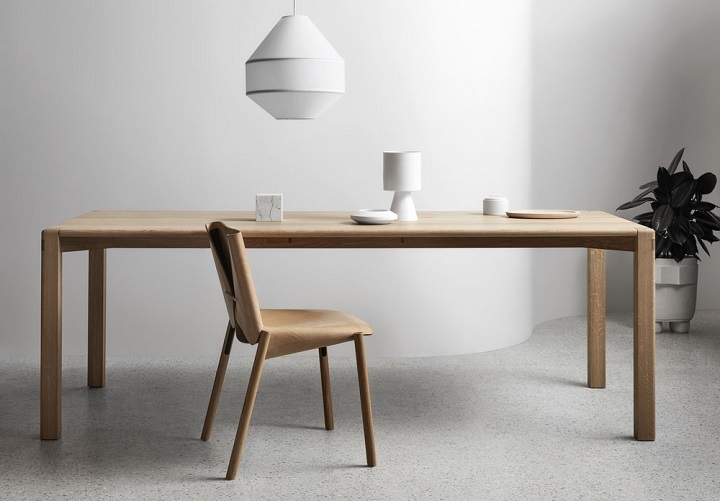 Timber pendant lights may be made from ply, bamboo and other types of wood. 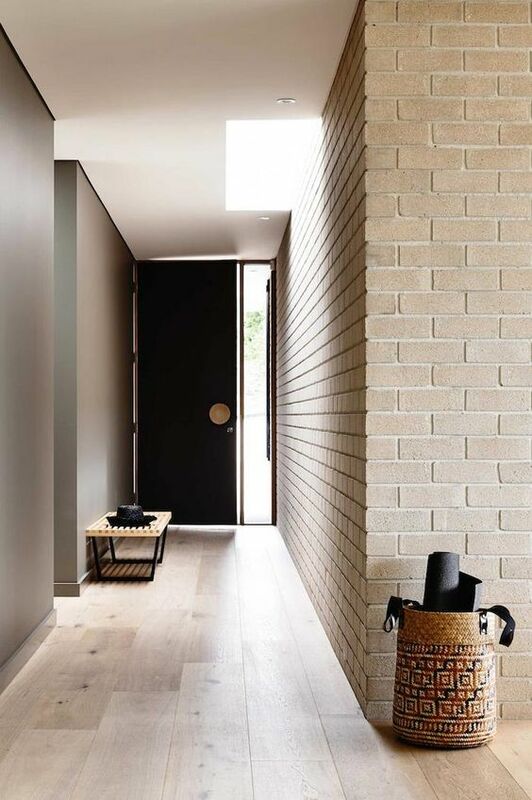 Timber brings softness to a room, contrasting beautifully with harsh materials like concrete or brick. Timber lights may be any different shape, either directing light or creating a cage for ambient light. Wood is very easy to customise through painting or staining. Rattan is a very fine timber that is light and brings natural pattern and texture to a space: think wicker furniture or woven baskets. People love huge feature pieces made of rattan that show off their detail during the day while casting interesting shadows and patterns of light at night. When you think soft, organic material, concrete is often the last thing that comes to mind. In truth, concrete is porous and textured, bringing something truly special to a room. 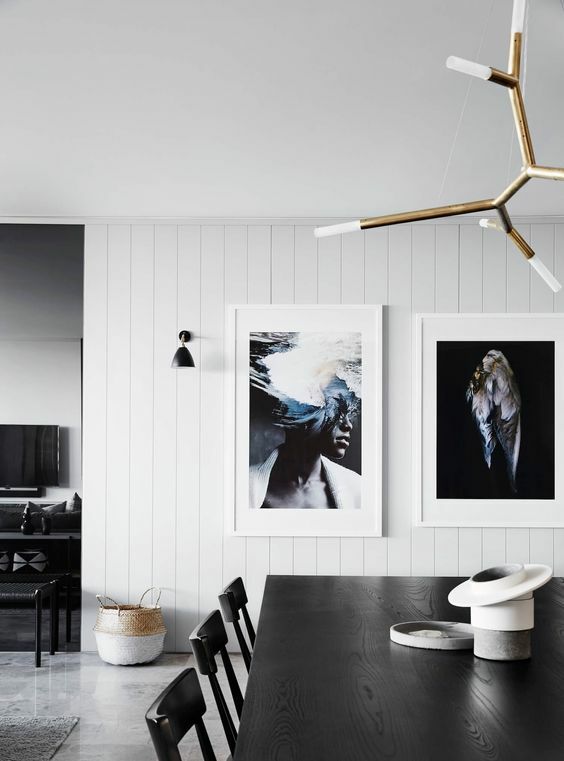 Pendant lights are a great way of incorporating concrete into your space without committing to something big like polished concrete floors or benchtops. The movement of a pendant is perfect for balancing out the strength and industrial feel of the concrete. ‘Vintage’ is such a broad category, which means there’s truly something for everyone! You might be interested in a retro fitting from the 60s or 70s, an art deco piece from the 1920s, or a Victorian pendant light for a truly classic feel. There are seemingly endless choices of period, place and style, and you have the choice between buying new fittings in a vintage style or hunting for authentic antiques for something special. Pendants are popular as the feature piece of a room, adding depth and texture as well as providing light. One way to really make a statement is to use your pendant as an opportunity to add a pop of colour to your space.. Focus on finding something bright and eye-catching, or find a pendant in the perfect style and have it spray-painted your dream colour. With all these incredible styles trending, the hardest part is choosing between them! Shot on location in Morocco ‘Le Maison Marrakech’, Society of Wanderers latest collection promises the most stylish of slumbers, with flair yet with ease. The collection is full of colour and pattern, texture and character and comes in amazing new 'packs' which easily transforms your bedroom in one sweep! "Nothing pretentious- just purity, quality and a firm place in our nomadic hearts." Founder of Society of Wanderers, Briony’s inherent wanderlust has led her to many far away lands on a quest to curate a beautiful, sophisticated and hand selected array of coveted interior products for the eclectic home. Specialising in ethically sourced textiles formed from natural derivatives, this latest collection by Society of Wanderers now graces some of the country’s leading interior stores alongside a swag of other carefully selected haunts from all over the world. The La Maison Marrakech Collection is available for Pre Order now - here. "BE A NOMAD, TRAVEL THE WORLD, SEARCH FOR TREASURES, IMAGINE THE FUTURE." We love everything that Beeline Design do and their recent collaboration with the students from Design School is just so stunning. The collaboration marks the release of their newest piece the “Flow Table”. The introduction of the Flow Table to the Beeline Design catalogue signals a new direction for the brand who until now is best known for their Calypso Stools and more recently Cuba Bed. 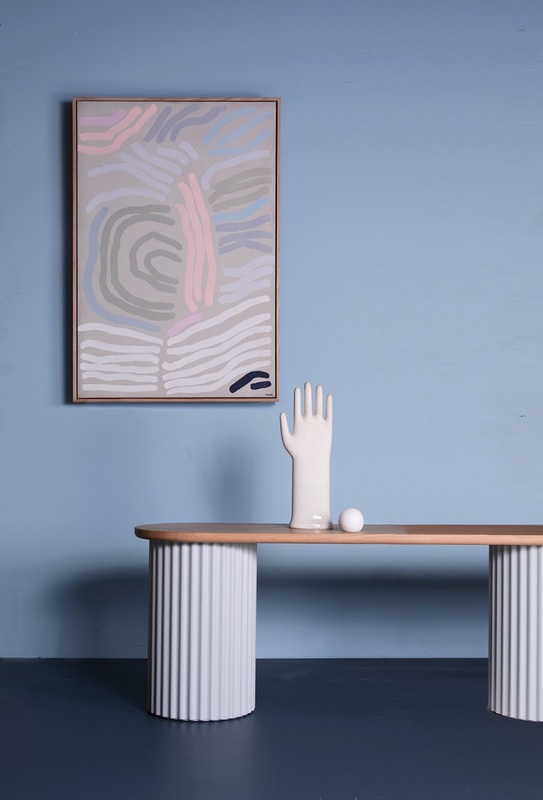 "We wanted to really capture the versatility and functionality of this table, to demonstrate it's many 'personalities'" says Lucy Grant who is one half of the duo behind Beeline Design. "I really loved the work I was seeing come out of Design School and so when we were looking at how to communicate our vision they were our first choice." Continues Lucy. Against the backdrop of the stunning Establishment Studios the Design School students created an incredible array of looks varying from modern minimalism to faded decadence. The image series also includes some existing pieces from Beeline's Cuba Collection which has been re-interpreted by the students; giving the range a more sophisticated edge whilst still retaining their relaxed modern aesthetic. 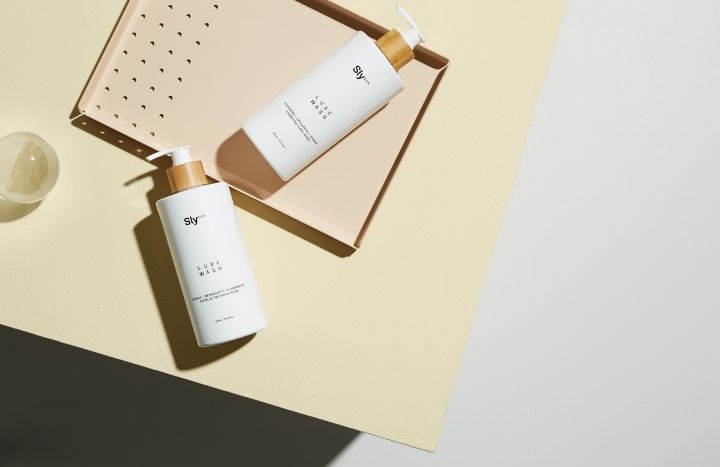 “I wanted to keep the brief really open and see how they chose to interpret our products and we are just blown away with the creativity and variety in the results.” says Lucy. Whilst working predominantly in solid timber; with each new range Beeline use a secondary material as the hero of each piece. 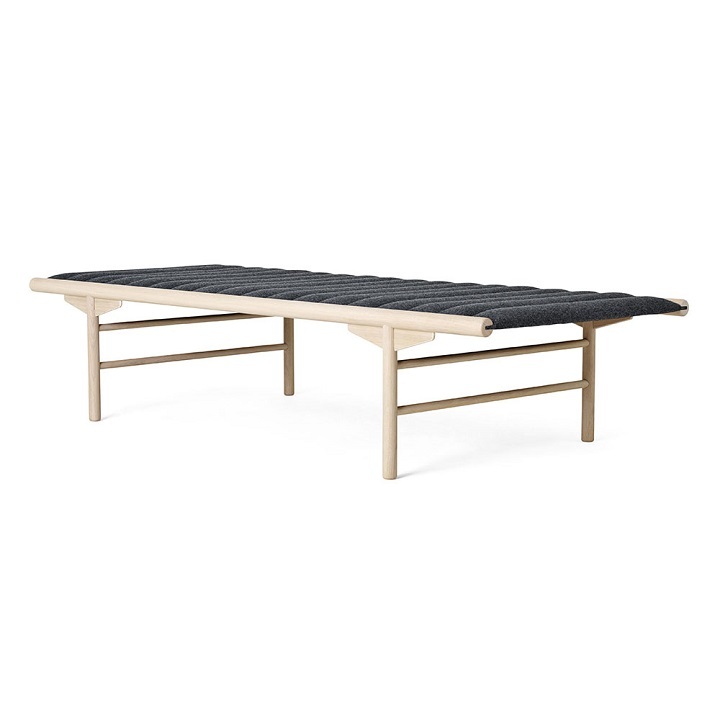 Following on from the leather in their Cuba Collection, the Flow Table utilises the strength and functionality of powder coated steel paired with Tasmanian Oak in its form. "We wanted to design a table that made a statement but had a classic feel" says Adam Brislin the other half of Beeline Design. Looking forward the brand is working on expanding their Flow range with new designs slated for release early next year. A huge thanks to the following students from Design School: Anna Chisholm, Justine Murphy, Bea Lambos, Elena Seton, Rebecca Leijer, Holly Miskimmin, Susan Ruzeu, Sidonia Thomas, Danielle Mozjerin.